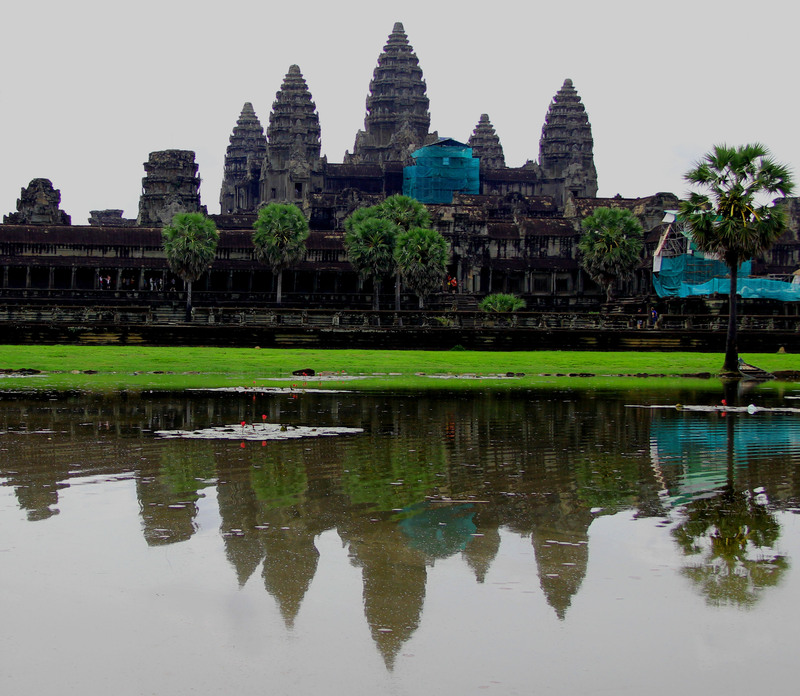 Roughly six kilometers north of Siem Reap are the majestic temples of Angkor. Angkor Thom city was the last capital of the Khmer Empire and the complex, spread over nine square kilometers, houses some of the best temples in Cambodia. We got a chance to whirlwind the Wats (or temples) on a still, scorchingly sunny day. We visited more than half a dozen temples in one day, but here is a photo-essay of three of my favorites. Angkor Wat is not only the big brother of all the temples in this complex, but also the largest monument built by the Khmers. 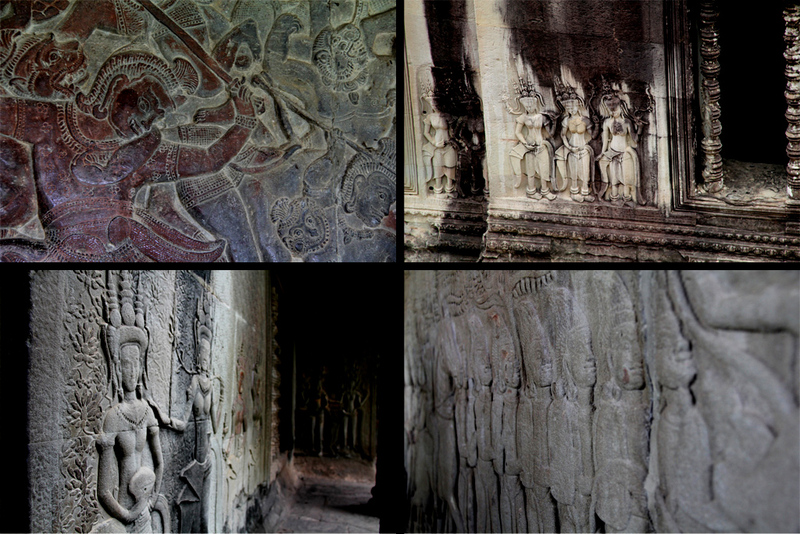 The four corridors of Angor Wat are covered in mythical carvings from wall to wall. The sculptures start with the stories of Ramayana and Mahabharata and move on to the evolution of religion into Buddhism. Bayon is one of the most recognizable temples of Siem Reap, thanks to the towers of serene-looking faces staring in every direction. 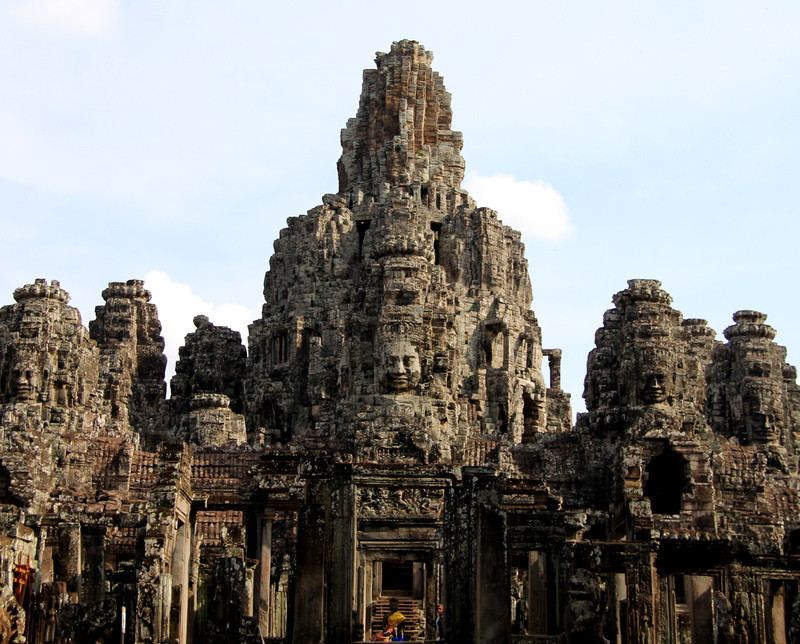 There are 54 towers in Bayon, with four faces each. That's 216 faces in total, but whose face? The debate is still on. 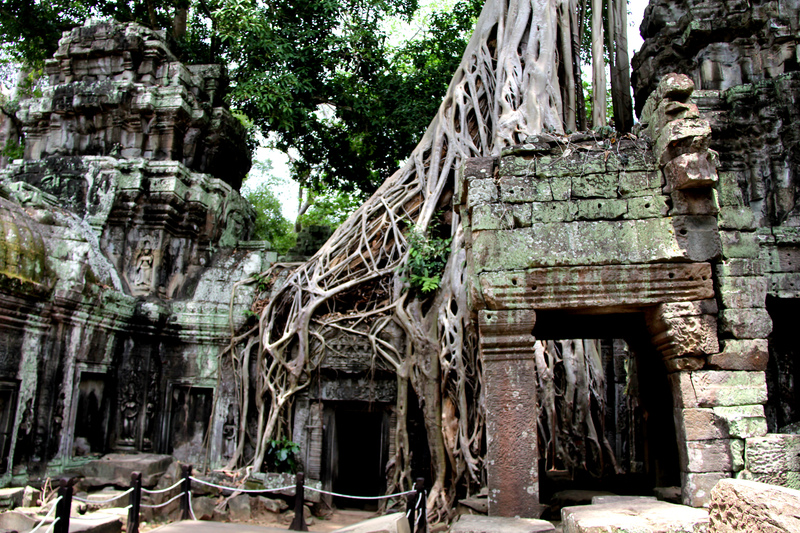 Natural beauty meets Khmer history in the temple of Ta Prohm. While a lot of the other temples have undergone constant preservation and re-construction, this 12th century monastery and university has been left in the lap of nature. This temple seen in the movie Tomb Raider also boasts of magnificent intricate architecture. 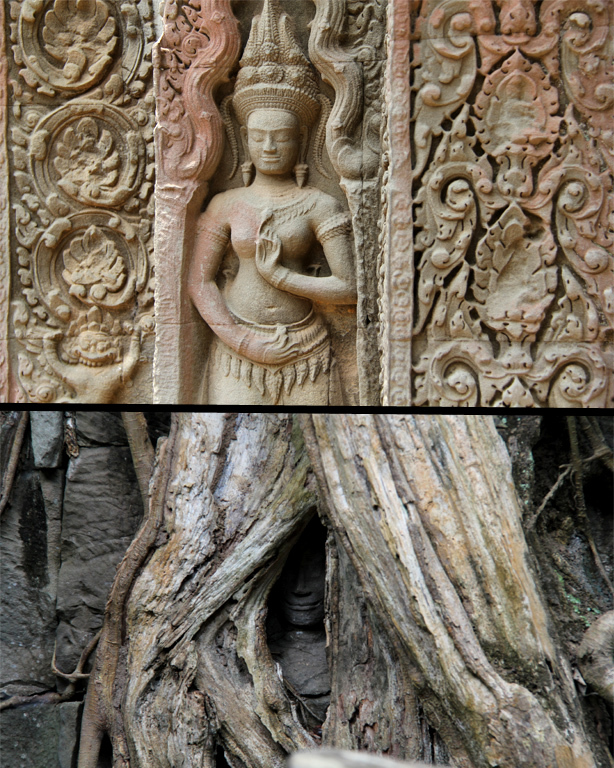 The bottom picture shows a glimpse of smiling Buddha's face hidden behind a tree. Nice post and great photos – I missed your last pitcture (smiling Buddha) thats a really nice shot/find.